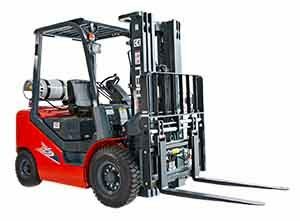 Forklift safety issues took center stage in a Sept. 8, 2016 inspection by the U.S. Department of Labor’s Occupational Safety and Health Administration. Alliance Ground International was issued a number of citations to the cargo-handling company. The citations, nine in total, range from “willful” to “other-than-serious” in classification and were the result of a March investigation of the company’s O’Hare airport facility, prompted by an anonymous complaint. OSHA has attached a proposed penalty of $338,881 to the violations. Alliance Ground International is a major cargo-handling company and their clients include, Amerijet, Delta, Finnair, Transaero, and Virgin. This marks the third time in three years that Alliance Ground has been found in violation, involving struck-by and electrical hazards, as well as being cited for forklift safety issues. OSHA found similar violations involving these hazards at Alliance’s Chicago facility in September of 2014 and at Alliance’s Schiller Park facility in December of 2013. OSHA-approved training courses can be a useful resource for safety leader professionals tasked with maintaining compliance within their respective companies. The cargo-handling violations which Alliance Ground was cited for, as mentioned in this article, are violations which are avoidable with proper training.